Amber Hollier didn't know the man she donated a kidney to. And it wasn't an easy decision. Hollier is a single mother. She worried: What if her own daughter needed a kidney one day? But a news story about a local father moved her. Darin Tassin had six children - and kidney failure. He needed a transplant. She felt she needed to help. Hollier gave her left kidney to Tassin on April 18. 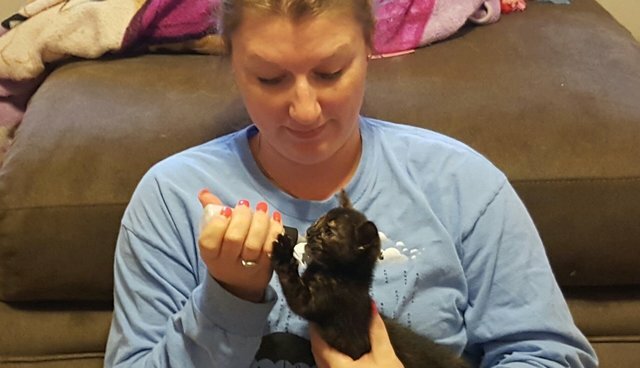 Then with a month of recovering at home ahead of her, Hollier figured she might as well be useful again, so she picked up a couple of foster kittens who needed bottle-feeding. The kittens were 2 weeks old. Hollier was five days post-op. "Their bottle schedule matched up almost perfectly with my medication schedule," she tells The Dodo. "How one kidney saved three lives." Hollier has always loved animals. Growing up on a farm in Louisiana, she describes herself as "the kid that snuck a pair of mice into my room when I was 13 and a puppy into my bathroom when I was 17." She enlisted in the Navy at age 19, and was stationed in Jacksonville, Florida - for the next six years, she was without pets. "The very first thing I did when my contract with the Navy was up was paint my nails a bright color. The second thing I did was go to the Jacksonville Humane Society," she says. Hollier adopted an elderly cat with serious medical issues. They lived happily together for just over a year, before the cat died of a heart attack - lighting a fire in Hollier to take care of the most vulnerable animals. That includes taking in "fospice" dogs through the Mr. Mo Project - an upstate New York nonprofit that gets old and sick dogs out of shelters, and places them into loving foster homes for the rest of their lives. 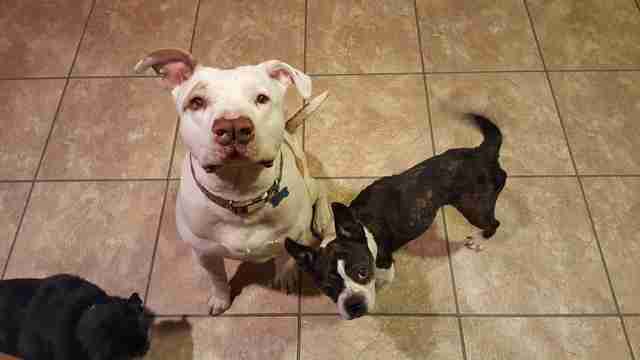 The dogs' medical bills and other expenses are covered; fospice families provide the love. Hollier and her daughter live back in Louisiana now, with two Mr. Mo fospice dogs - Jill, a former stray with diabetes and vestibular disease, and Saint, who has inoperable cancer. "But he is playful and silly and bossy," Hollier says. There are also three other rescue pups, a bunny adopted from the Louisiana SPCA, and two reptiles who were, Hollier says, "inherited." 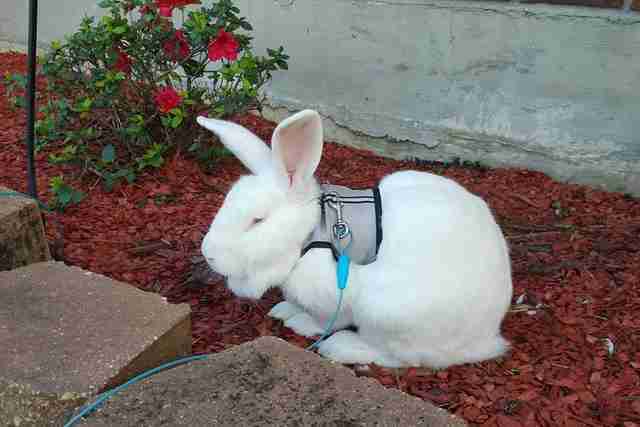 "My sister is a teacher and she gets the grants for her classroom to get a class pet," she says. "Then somehow they end up in my zoo the year after!" And, of course, now Hollier has her kittens. 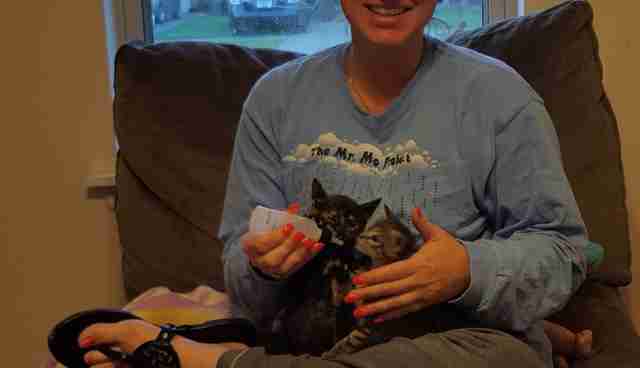 Tillie, from the Louisiana SPCA, and Ricki, from Jefferson Parish Animal Shelter - the first bottle-fed kittens she's ever fostered. "Bottle-feeding is normally too intense for working people," Hollier says. 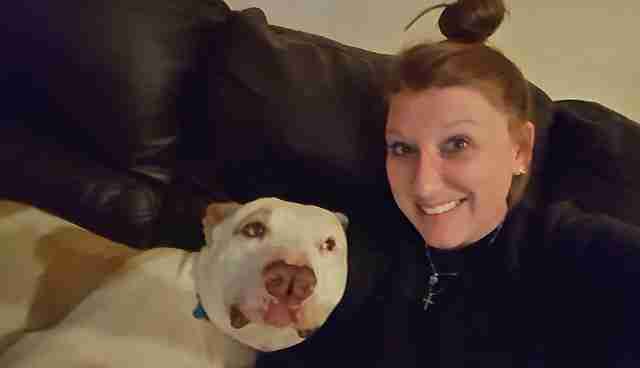 "The fact that she just donated a kidney to a stranger, and is using her recovery time to save even more lives is nothing short of amazing," says Renee Yeaton, foster coordinator for the Jefferson Parish Animal Shelter. A month since the surgery, Darin Tassin - the recipient of Hollier's kidney - is thriving. He told a local Fox affiliate he's now hopeful he will "see all my kids grow up and get married and I'd like to have grandkids for myself." "Darin is doing wonderful. 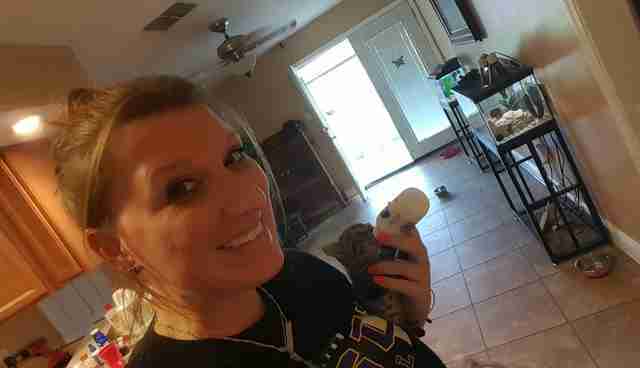 Her kidney is working great," Tassin's wife, Danielle, tells The Dodo in an email. Hollier - who hopes her story inspires folks to donate organs, and to foster animals - is doing great too. This week, she's just gone back to work. She even credits the kittens with helping her heal. 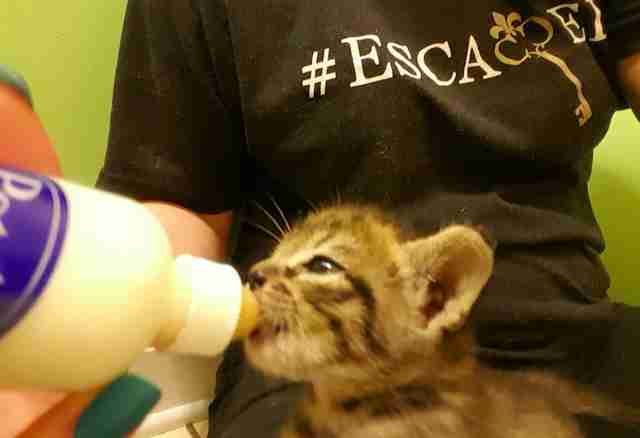 Now, Tillie and Ricki are big enough for solid food; they don't need her for round-the-clock bottle feedings anymore. But in the weeks after Hollier donated her kidney, the kittens required attention and care on a regular schedule - which means she had to get up out of bed and move around every couple of hours, something that aids recovery, but that she might not have otherwise been inclined to do. "There were days I could have absolutely stayed in bed," says Hollier. "But these guys needed me."